Uttar Pradesh Subordinate Services Selection Commission (UPSSSC) had released a latest employment notification for filling the vacancies of Junior Engineer, Manager & Others. There are a total of 1377 posts under this recruitment advt 14/EXAM-2015 named Combined Junior Engineer/Other Technical Post Competitive Examination. Through this vacancy advt, UPSSSC had invited applications for 1377 posts of Junior Engineer (JE) in Various departments, Manager & Other posts. This is a good opportunity for engineering candidates who want to have a Govt. Job in Uttar Pradesh (UP). Eligible candidates can apply from 18 September 2015 through online mode at upsssc.gov.in. The last date to apply online is 10 October 2015. 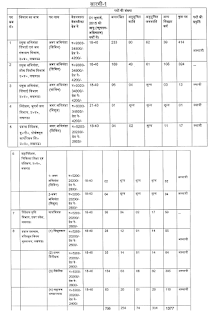 Candidates can check UPSSSC JE & Manager Recruitment 2015 details from below. 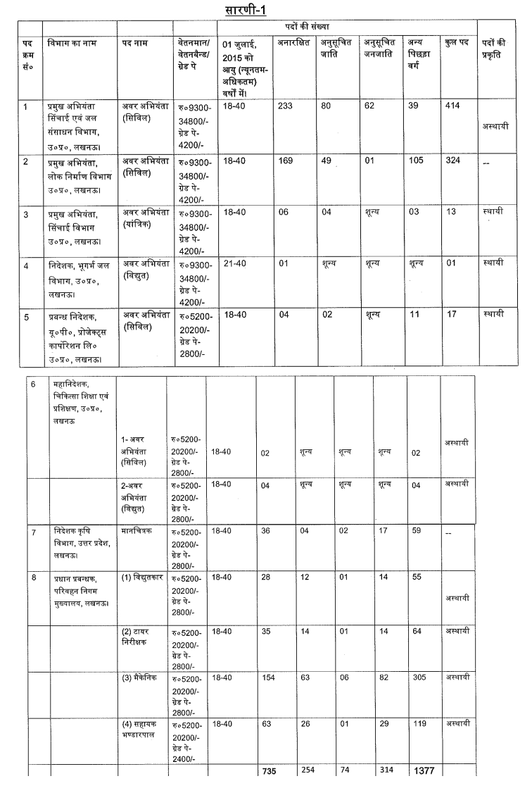 Other vacancies: Manager - 543 Director - 59 Check JE, Manager's Complete Vacancy details from below given image. Age limit as on 01.07.2015: 18-40 for all the posts except underground water. Application Fee : Candidates have to pay the following fee. Selection Procedure : Selection under this recruitment is to be done on the basis of written test & Interview. Closing date of payment of Application Fee - 12.10.2015. How to Apply : Interested & eligible candidates can apply online at upsssc.gov.in. No other mode of submission of application would be accepted. Candidates are not required to send the application form. Complete details can be checked from the official notification available at direct link given below. Check UPSSSC JE & Manager Recruitment advt below.